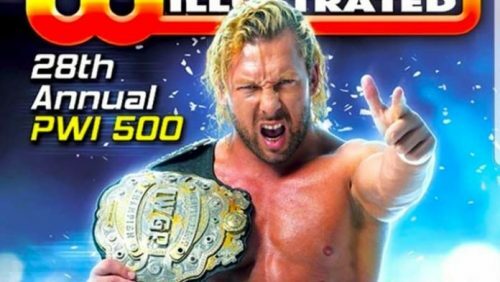 Wrestling publishers Pro Wrestling Illustrated have released their yearly rankings of the top wrestlers in the world and for the second year in a row, the number 1 spot is held by a non-WWE performer. Current IWGP Heavyweight Champion Kenny Omega earned the overall number one ranking just one year after rival Kazuchika Okada. Filling out the rest of the top ten were current WWE Champion AJ Styles, Kazuchika Okada, Brock Lesnar, Seth Rollins, Braun Strowman, current WWE Universal Champion Roman Reigns, Cody, Tetsuya Naito and The Miz. Spots 11-500 are available through the PWI-Online or the magazine itself.